Von einigen der besten Toningenieure der Welt als „Geheimwaffe“ gepriesen, ermöglicht das SPL Transient Designer Plug-In für UAD-2 Hardware und Apollo Audio-Interfaces die direkte Bearbeitung von Attack und Sustain des Quellsignals. Dieses Tool gewährt dir die volle Kontrolle über wichtige Klangelemente deines Mixes, ob bei Snare, Overheads, Raummikrofonen, Pianos oder anderen Klanquellen. Dave Isaac präsentiert einige Tricks im Umgang mit UAD Plug-Ins. Mit nur drei einfachen Bedienelementen für Sustain, Attack und den Ausgangspegel ist das SPL Transient Designer Plug-In ein leistungsfähiges Korrektur- und Kreativwerkzeug. Die Dauer des Anschlags und des Ausklangs von perkussiven Signalen wie beispielsweise Bass Drums, Snare und Toms lässt sich auf damit nach Belieben anpassen. Darüber hinaus können unerwünschte Übersprechungseffekte oder Raumanteile von Overheads entfernt werden. Das Ergebnis? Umfassende Kontrolle über einzelne Trommeln und die Gesamtdynamik deines Mixes. Das SPL Transient Designer Plug-In ist ein unverzichtbares Werkzeug für unterschiedlichste Instrumente. Verfeinere beispielsweise einen Piano-Klang, indem du das Anschlaggeräusch reduzierst und die Akkorde länger ausklingen lässt. Bei Akustikgitarren kannst du das Picking in unterschiedlichen Parts betonen oder zurücknehmen. Außerdem hast du mit dem SPL Transient Designer die Kontrolle über die Umgebung einer Klangquelle. So lässt sich beispielsweise der Hallanteil einer Chor- oder der störende Raumanteil einer Gesprächsaufnahme reduzieren. A superb, must have utility tool!! Great for generally getting rid of hard attacks on drums, piano, or guitar strokes on an acoustic guitar. Easy to use and great result. Excellent on kick and snare. I think we've all been at a place during a mix where the drums just need some smack that you just can't seem to dial in with a compressor. Enter the Transient Designer. Beyond drums, this swiss army knife tool has applications across the mixing spectrum. The sustain knob is indispensable for delicate piano sounds in need of elongation and fluidity. I also love using it before a tape simulation, like the Studer A800 on a drum submix. By increasing the attack going into the tape machine, you can combat some of the transient softening associated with tape while still maintaining the warmth and saturation. The sustain control on this tool is just superb. Works wonders on drums/bass to help create that tight and punchy sound/feel. I demoed the Plugin Alliance (Brainworx) version too, this one by Universal Audio, is in my opinion way better,a very very close mirror of the awesome hardware unit. Gets used on every session! Its probably quite easy to overlook this little gem of a plug. I know I did. When you first arrive in UAD-land and are blinded by all the Neves and Manleys, the Studers and the Plates.. and more Eqs than you can shake several sticks at. But whats this little unassuming silver delight, buried in the special processing pile? A transient designer you say? The antidote to compression? Master of punch? Tamer of slap? Giver of control. The single most useful bread and butter plug that I never knew I needed. Buy it. Great on Overheads and Room Mics! Gives subtle control of Cymbal Noise vs Drum Sounds when placed on Overheads and Room mics. Great Plug for the Tool Box! I LOVE this plugin!! I have already found many great creative ways to use the SPL Transient Designer, and it's so easy to use -- I just used it to make a bass line less legato and more punchy. A great "secret weapon" tool ! By adjusting attack and sustain you can give ur kick smack and thump. Really just two controls combined together to make dead toms ring out longer. Used on bass guitar it can give u a more aggressive sound. This plugin must have the most uses per parameter of any plugin I own. It can fix bad sounds, enhance good sounds, reduce ambience, give instruments more body, make instruments fit better in the mix (in many ways) and so much more. The Transient Designer has on multiple occasions fixed a problem with either a bad recording or a good recording of a bad instrument where other ways of processing just couldn't fix it. The only slight downside to the Transient Designer is that it doesn't always handle attacks the way I expect it to, but that might be due to unrealistic expectations. If you want the thwack/attack of your percussion to cut through a mix, use this plugin. I put it on a djembe that I was having a hard time getting to cut through in a mix and WOW!!!!! What a difference. I had been trying to eq the djembe to get the right sound, no avail. I put the Tansient Designer on it and the djembe came to life in the mix. Superb! Brilliant plug-in for drums. I use it sometimes for vocals to achieve the effect simillar to reverb. The effect that I get sounds like a mix of reverb and sustain, which gives a rich tone. 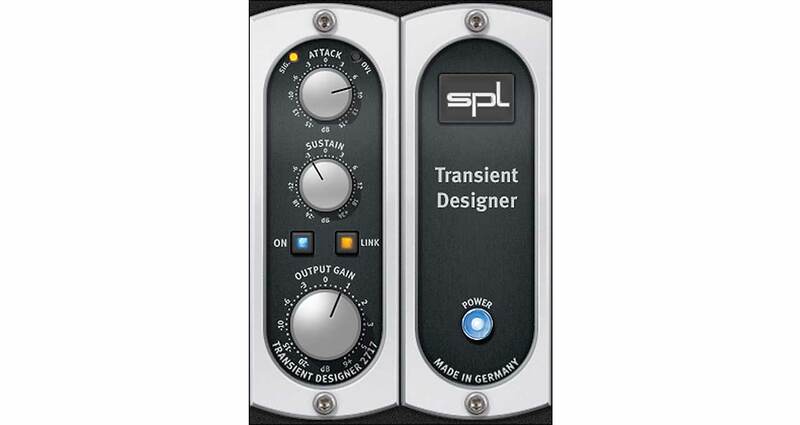 What I love about the SPL Transient Designer is that it offers a unique alternative where compression may not necessarily be the most suitable tool for the job. The way the sustain control works is quite remarkable. I love the fact that not only I can increase the sustain, but also shorten it if needed. First off, a transient modulator is something you REALLY should have when you're mixing music, particularly to clean up the atmosphere of each drum sound, as transient modulators will allow you to add/remove snappiness from tracks to make all elements fit better in the mix - such as making a snare more snappy, while softening the attack of the hihats to make them sit further back in the mix. However, the available solutions on the market are not equally good; in fact they're VERY far from equals. A thorough evaluation of Schaak Transient Shaper, Logic Enveloper, Cubase Envelope Shaper, Voxengo TransGainer, Sonnox TransMod (which ONLY lets you modify the ATTACK of a sound, but is very nice for that) and the SPL Transient Designer - a list which reads as the "who's who" of transient modulators on the market - revealed that the latter [UAD SPL Transient Designer] was the ONLY one that produced a CONSISTENTLY CLEAN SOUND, free from artifacts or unpleasing distortion, whereas ALL the other ones that supported sustain produced crackling and muddyness. 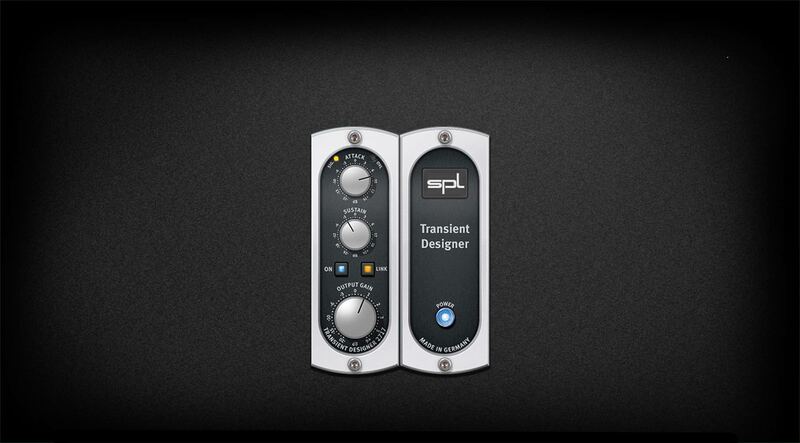 The SPL Transient Designer is consistently smooth as butter, and only uses two easy knobs: Attack and Sustain. Boost or cut either, and it does the job in an extremely clean and musical way, by having extremely accurate envelope followers "ride" the gain knob for you, therefore affecting the attack and release in a very smooth way. There's NO other tool that even comes near the sound quality of the UAD SPL TD, period. Wow. On an audio-post project, this clever device helped reduce the reverb/room sound from the boom mic being too far away from the actors. It's a dialog mixer's dream. Very handy! I always use this effect on piano sounds. To make richer susutain and reduct a noisy attack. If I use cheaper synth.Trangent deshigner gives me a perfect sound! With bass drum,Tranjent designer makes natural attacky sound without EQ. so far ..... so good. sooooo good. i haven't even tried it on instruments YET ....... as i am a musician, and a sound designer / editor .......... i just used it on my last edit, for an episode of the tv series 'copper' ....... in which there was a bare knuckle boxing match, and horse and carriage shoot out. looking forward to using this and the IBP on drums !!!! !